As before, you can still search across all of the triggers and actions, but now, you can also search the service names and descriptions as well. Microsoft Flow supports nested conditionals, which make it possible to have very advanced branching logic. Today, we are making it very easy to have parallel branches of conditional logic based on a single value: known as a Switch case. 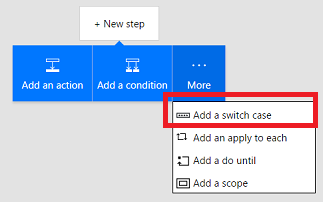 You can find switch by selecting the More … option after selecting New Step and then choosing Add a Switch Case. Inside a Switch Case you will select a value from the trigger or a previous step to switch on. For example, if you use this template for a SharePoint approval flow, the switch is on the option the approver selects in the approval email. Below the Switch On, you can add as many cases you want. There is also a Default case that will run if the value is not found in any of the cases that you define. With switch case it should be much easier to build flows that work with many different options from a single step. 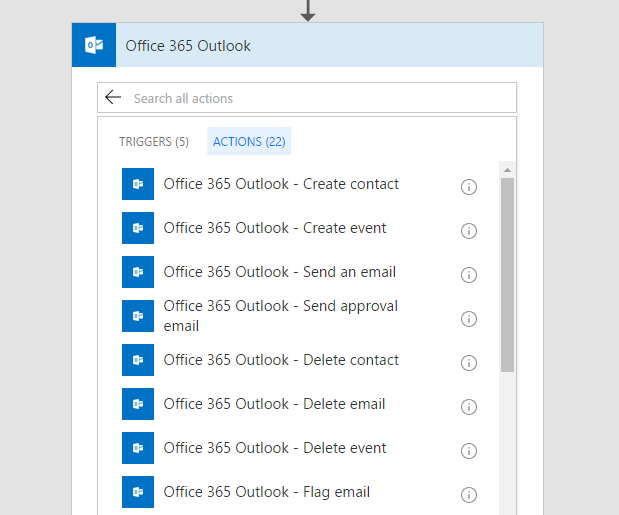 These functions were the most commonly asked-for features with email, please let us know on the Ideas forum what other features you would like to be added for Office 365 and Outlook.com. Flow can now connect to your Local File System or a Network File System. You can log or copy files from your own local Windows desktop PC to the cloud. 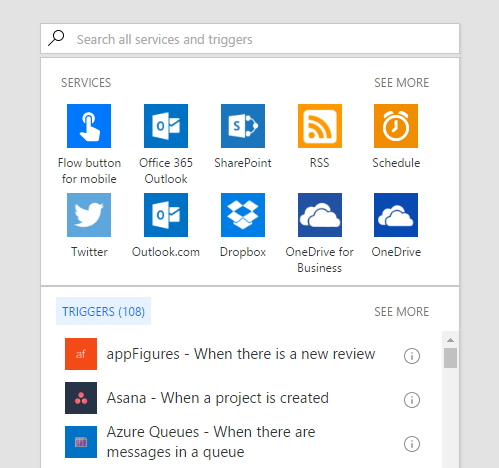 Likewise, if you have a team Network Share, you can connect to that from Microsoft Flow. To use the File System connector you'll need to download and install the On-premises data gateway onto your PC. Note that to keep your flows working, your PC will have to always remain on and connected to the internet. See some templates here that you can use with your own Windows PC. 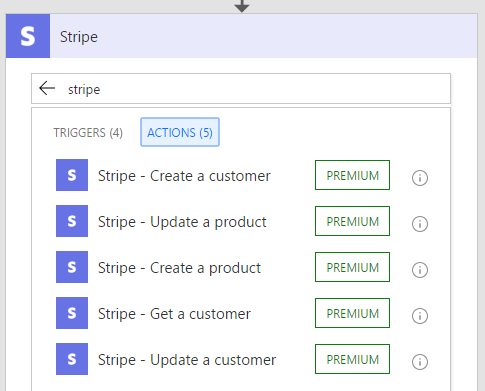 You can now use Stripe from Microsoft Flow. Stripe allows private individuals and businesses to accept payments over the internet. You can track customers, orders, invoices and more. Microsoft Flow integrates with Informix and DB2 so you can connect to resources stored in IBM Informix or IBM DB2 databases. We support SELECT, INSERT, UPDATE, and DELETE operations. UserVoice is a product management and customer support tool that allows businesses to build a suggestions portal for their users to submit feature ideas, build a ticketing system for customer support and build articles knowledge base for users.